Work for Stellar Phoenix Mac Data Recovery? 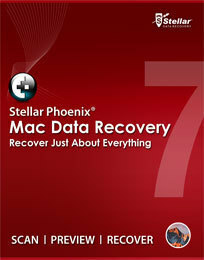 Learning about Stellar Phoenix Mac Data Recovery? The fact that you can delete files, remove them from your trash can, and then somehow get them back is amazing! For a fraction of the cost of an actual service too! When I have retrieved my files in the past, some are corrupted or are missing part of the file. That stinks but it may not have been this program’s fault? I’m not entirely sure. I had a hard drive crash with 2 Gigabytes of files on it. I needed those files for my job and this program saved me!! "Great Product and Will Save You From Stress!" About a year ago, I had one of my external hard drives crash. I took it to a few repair shops who wanted to charge me $4,000 to recover all items (pictures, files, etc). For a very low price, Stellar Phoenix Mac Data Recovery did the trick! The ONLY thing I don't like about this program is the labeling of the files I lost. I had to go through over 10,000 pictures and put them in the right folders and the naming of the recovered files made it very difficult to know what it was without opening it. The best thing about this program is the ability to safely delete and recover files! "Great to have in your toolbox"
Stellar Phoenix is one of several data recovery utilities I’ve used for years, and at times has been the only tool capable of recovering client data and saving thousands in clean room recovery fees. Not much to complain about - IT professionals should expect to have a number of data recovery utilities in their back pocket for any recovery project, as it can be unpredictable which one will successfully recover data. Stellar Phoenix is the winner as often as any other utility I use. Thousands of dollars in savings by avoiding the need to send storage devices to clean room facilities for expensive recovery. "Great recovery tool for Macs"
Easy to use did a great job, and not expensive. That it could not recovery more metadata from the files. We are solving the need to find what employees are deleting either on accident or propose and saving the time of redoing work. * We monitor all Stellar Phoenix Mac Data Recovery reviews to prevent fraudulent reviews and keep review quality high. We do not post reviews by company employees or direct competitors. Validated reviews require the user to submit a screenshot of the product containing their user ID, in order to verify a user is an actual user of the product. Company: Stellar Information Technology Pvt. Ltd.
Hi there! Are you looking to implement a solution like Stellar Phoenix Mac Data Recovery?